Delighted Momma: Things That Make Me Say Yeay! Things That Make Me Say Yeay! 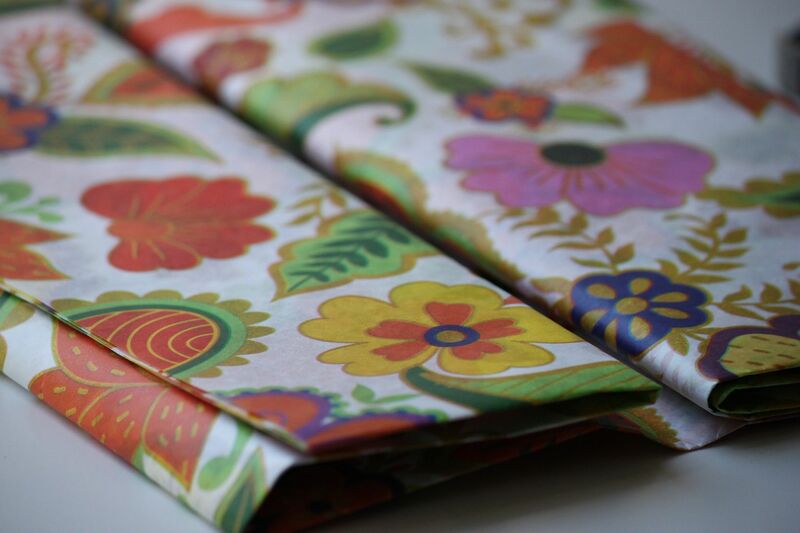 Pretty tissue paper from World Market that I wrapped a little present in this week. 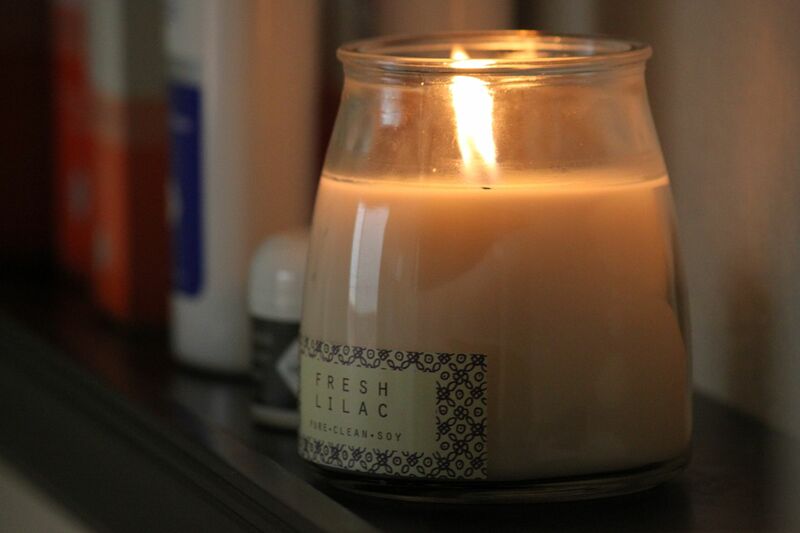 A new Fresh Lilac candle for my facial room. I bought it here. Fresh basil from our garden! I have been adding it to every thing I cook just because I am so excited about it. Who cares if basil and enchiladas don't go together..I am adding it! 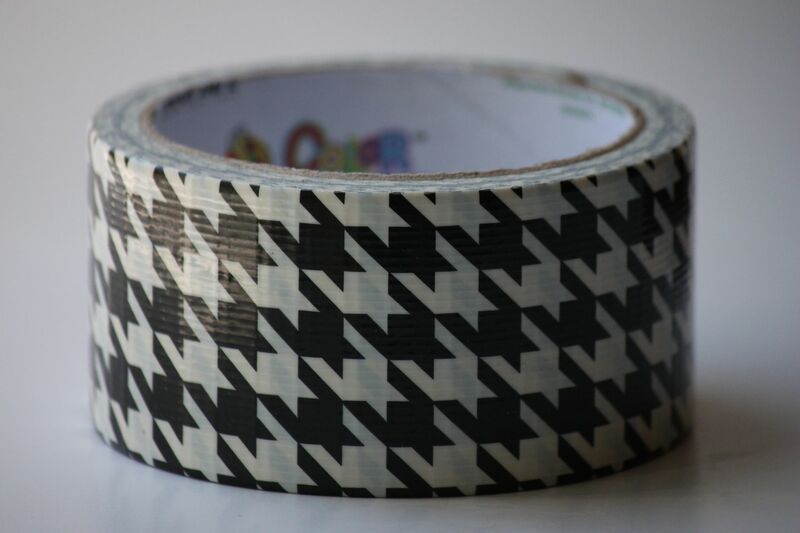 The coolest ducktape that I have ever seen! Do you have anything that makes you say YEAY?! I want to hear! Ohh, that tissue paper is just beautiful! And if I had a pool, you bet I would be drinking by i ;) Looks relaxing! Gidday Lindsay. That paper is so pretty. I remember drinking quite a few Stella Artois in my younger days. Don't have any desire to drink beer now. Isn't it funny how your tastes change? What's making me say yeay right now is online shopping. I'm still not 100% and we're quite low on a lot of things. I barely have enough energy to go down to the shops on my own, let alone with my 2 sick kids in tow. I'm counting down the next 4-5 weeks and then we'll be enjoying beautiful warm day & night weather and hopefully the end of cold season. Just wish I could focus on something else. sorry I don't have anything more interesting to yeay about. I love these images and ducktape should have always looked like that. Love the tissue paper & the duct tape! Great post! That duct tape is SO cool! And I loooove fresh basil, always a good addition to a recipe. Happy Wednesday! Yay for basil -- I dried some of mine for the winter. :) Yours looks very delicious. I literally just spewed coffee all over my keyboard with that basil enchilada comment. Too funny. I love it too. I have a small obsession with wrapping paper. That tissue paper could definitely come live at my house. Does that duct tape live at your house? If so, whatcha gonna do with it? I've seen some pretty sweet wallets made with duct tape. In New Yoooork, concrete jungles where dreams are made of....must be Wednesday again. mmm all of these things make me say yeay!! Loove that duck tape. I recently bought neon pink and green. SO fun! basil...i love basil! it's so good in everything! i love putting it in my salads. Haha that tissue paper is SO cute! Planning out my DIY headboard project is making me say yeay right now! I am swimming in fabric samples. Ooooh pretty tissue paper, and fresh basil sounds delightful! What makes me say yeay is when I wake up and coffee is already brewing. Also, thanks for your comment on my blog! I hope you don't mind, but your blog is so lovely I just had to follow you. Ha I love the basil one! I feel you, I have all this cilantro I dont want to go bad so I've been putting it in everything I can :) And that duct tape is awesome! Oh I love Stella beer! So yummy. Especially on a hot summer afternoon! these are all great! i love them all! Oh wow! What pretty tissue paper. I love the basil in enchiladas... I would do the same thing. I just raided mine to add to mac&cheese last night. love this post! and that duck tape is amazing. i love all of your picks for the week! 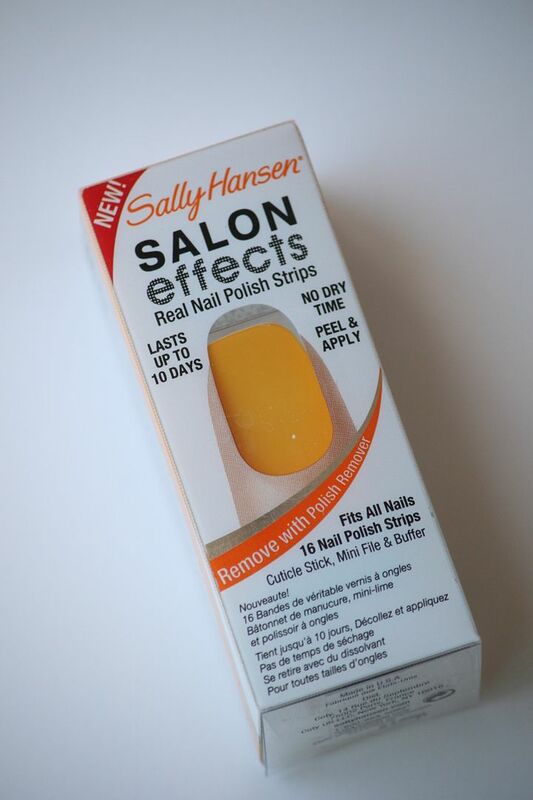 my favorite things will be posted on my Thursday Lately video blog i'm posting tomorrow... warm mint tea (it's winter here in sydney), getting packages from my mom filled with j. crew, glitter nail polish! houndstooth ducttape?? Where did you find that? As an Alabama girl I have to say, "ROLL TIDE!" Levi put together a new syllable today. That made me say, "Yeay!" Thank you for your sweet comments on my blog! It gave me the chance to discover yours, and I am hooked! I need coolio tape like that! And candles are such a small but wonderful indulgence don't ya think? love all these pictures! and is there anything better than fresh basil? yum. That tissue paper looks nearly like fabric! Also loving that duct tape, I've never seen anything like it! congrats on the basil. i'm pretty proud of mine this year too! 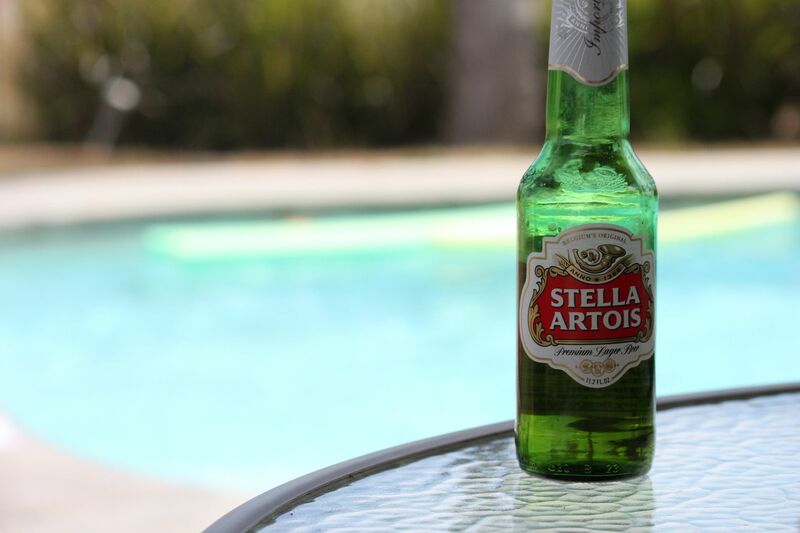 Ooooh that Stella Artois looks lovely and refreshing by the poolside! Nice choice! I was at the store a couple of days ago buying packing tape for my husband and discovered that they have some fabulous tape out there!! They had dots, zebra print and tie dye, to name a few! 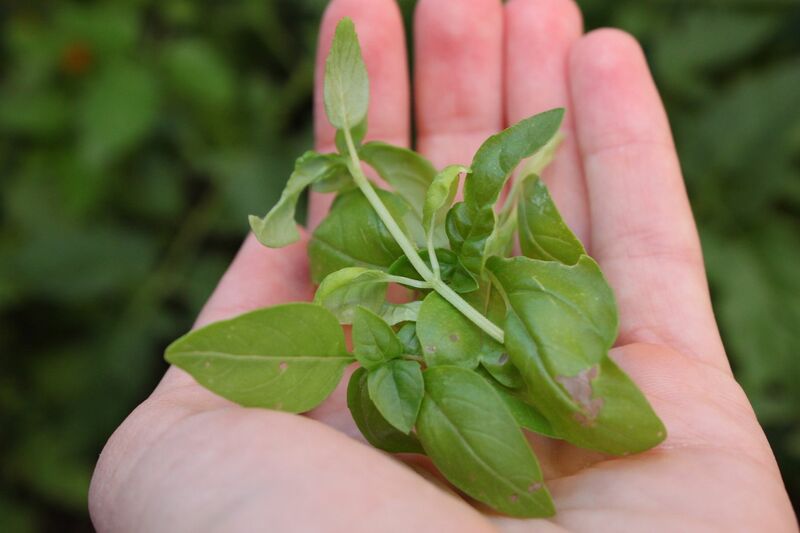 mmm nothing better than fresh basil, it’s so easy to grow too! I love that ducktape is available in these cool prints now. So much more fun than just plain old silver. Great post and have a good one. I have such a thing for duck tape ... and tisue paper! If I don't stop buying, my craft room is going to burst! I so wish I were lounging by a pool, sipping a Stella right now! I just love these lists! Basil & beer are so perfect! And there are so many fun things at World Market - I got Mark a "beers of the world" there for F-Day. Big hit! that's another one of my favorite candles! I didn't know target sold lilac candles! I feel like I just made an awesome and amazing discovery. But really, it was just you. And then you told us about it. I like my head's version better. Thanks! I am going to say yeay for air conditioning! Chicago's heat wave is something else right now. Love that duct tape! Hi! I’m following your blog and wanted to stop by, say hi and invite you to our blog hop if you haven’t already. Please come by when you get a chance. Hope you are having a Sweet Week. I would definitely add basil to everything too... and find something that needs some ducktape haha. Aren't you just the cutest thing evah!!!? I swear, I could have written this post! I am so stinkin' glad that you commented on my blog earlier b/c yours is just fabulous! Definite new follower and holy cow, girl, you get SO many comments for each post!